The purpose of power transformer testing is to improve level of transformer maintenance by transformer test instrument, do our best to match to desired effect, in order to make sure the normal operation of power transformer. The power transformer testing work is through whole transformer work and maintenance processing, not only checking and testing for transformer after maintenance bu transformer test instrument, but also for every step of maintenance such as turn ratio testing, winding resistance testing, steel core assembling, insulating assembling and leading line assembling, through checking by transformer test instrument, we can find faults in transformer and handle problems in advance, avoid big rework after transformer maintenance. Except checking main body of transformer, we also should testing accessory of transformer such as tap switch, cooler etc., so that we can make sure good quality of transformer in whole. KRI transformer test instrument can test turn ratio of power transformer, through testing, we will know if the transformer can meet the specified voltage change effect, if the turn ratio meet the numerical value showed on the data plate, to provide reference of parallel operation with other transformer. KRI transformer test instrument also including winding resistance tester, through DC winding resistance testing, we can check the welding quality of winding line, if the winding line can meet the design requirement, the contact point situation of tap switch of leading line tube, if the three phase resistance is balance or not. 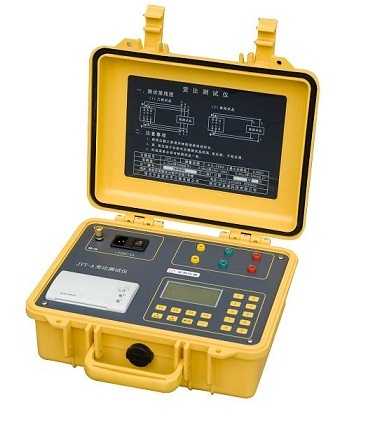 KRI transformer test instrument has oil insulation tester, through oil insulation testing, we will know the pollution level by suspend impurity and water, to judge if need filter or cleaning before transformer oil injection. KRI transformer test instrument also can supply transformer temperature rising tester, by this way, we can check the cooler system that if it can send heat under general loss out from transformer, as reaching heat balance, the oil temperature that higher than surrounding temperature should not pass the formulary limit data.